This one day course builds upon your knowledge of ArcGIS Pro to manage your geoprocessing workflows within ModelBuilder. We will go over the basics of a model and then quickly delve into the more useful parts of ModelBuilder, to include iterators, in-memory workspaces, in-line variable substitution as well as investigating ModelBuilder’s utility and logic tools. You will also be taught advanced modelling techniques such as conditional branching and embedding models inside of models. All sections are supplemented with activities and hands-on exercises. Understand when to use ModelBuilder. Perform conditional branching in a model. Investigate the many logic and utility tools inside ModelBuilder. Embed an existing model inside a model. 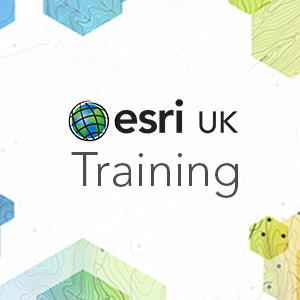 This course is aimed at those who have prior ArcGIS Pro experience, who wish to perform batch geoprocessing using ModelBuilder and who have attended the following course: ArcGIS Pro 2 – Essential Workflows for ArcGIS Pro. ArcGIS Pro 2.0 Standard license. An overview of ModelBuilder: The ArcGIS Pro Analysis environment; What is ModelBuilder? ; Why use ModelBuilder? ; Parts of a model; Building a model; Model properties; How do I run a model? ; sharing your models. Batch processing using model iterators: What are iterators? ; Types of iterator; Using in-line variable substitution; Using an in_memory workspace. ModelBuilder utility tools: What are model utility tools? Types of utility tools. Advanced modelling techniques: Creating groups in your model; Embedding one model inside of another; Using feedback within your model; Terminating model processes; Precondition checks; Calling a Python script from within ModelBuilder.